Industry tracking firm NPD has released some details for December sales in the US, and they provide some solid news for Nintendo, even if the absence of an official press release from the company — at the time of writing — suggests a cautious reaction to the results. 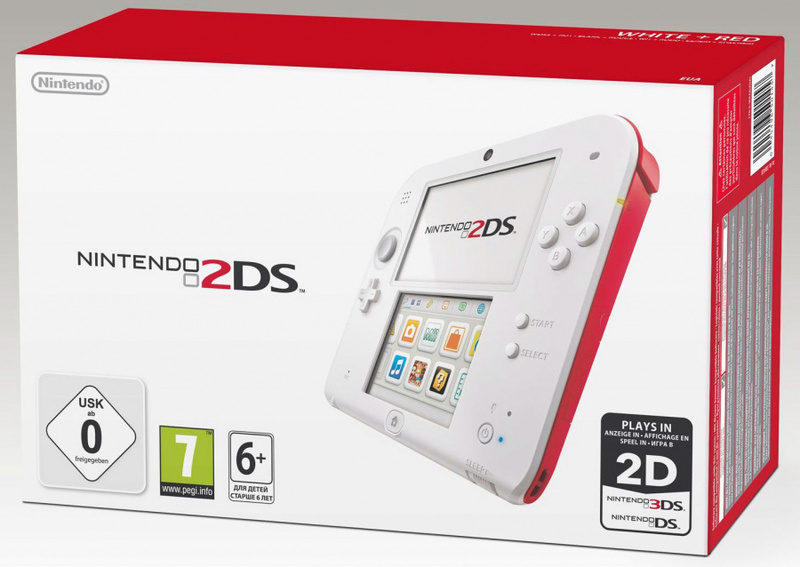 The major positive for Nintendo in the hardware stakes is that the 3DS family of systems was confirmed to have "topped overall hardware sales for Dec. 2013 and for 2013 as a whole", according to NPD's Liam Callaghan, a theme very much following on from Nintendo of America's recent boasts of record-setting 3DS sales in 2013. No precise number is available for December, but it will be above the 908,000 Xbox One units that Microsoft has asserted as the highest selling home console figures for the month; estimates are, naturally, around the one million mark. As for Wii U, it has shown the correct momentum, with Callaghan saying that "hardware sales of the Wii U were also positive with December 2013 marking its highest month for unit sales... so far"; that means it passed the previous monthly high of 463,000 units — again, these are US numbers only. Some are estimating around 500,000 units, but that's merely speculation at this point. Overall games industry headline figures for the US territory as a whole show December's figures up 2% on 2012, though that was heavily reliant on hardware sales jumping 28%. For 2013 as a whole, however, the industry figures showed a drop of 2% on 2012; bear in mind that NPD only covers new physical retail games, for example, so factors such as download sales and the second-hand market aren't represented. Random stat of the year has to go to Just Dance 2014 being the 8th-biggest selling game in the US for the whole of 2013, with the Wii (not a typo, we mean Nintendo's last-gen system) having the top-selling version. The December and 2013 software charts were devoid of single-platform games with the exception of Minecraft on the Xbox 360. From Nintendo's perspective it can consider a successful month (and year) for the 3DS, and the Wii U's best monthly performance to date in the US. Due to the coyness and absence of firm figures from Nintendo so far (and Sony, for that matter), we may need to wait until Nintendo's financial reports at the close of January to see how the Wii U is performing, overall, around the world. We'd expect a formal announcement (already suggested on the Twittersphere) that the target of nine million Wii U sales for the year will be reduced. In summary the 3DS continues to perform strongly in an increasingly diverse handheld / portable market — considering the role of smart devices — while the Wii U, at the very least, moved in the right direction over the Holiday season in the US. If Nintendo issues a statement on the NPD results we'll provide an update. Pokémon X & Y didn't make it to the top 10 software list? Must admit I'm surprised, was convinced it was selling well. @AdanVC i will never understand this notion that the Smash series is a system seller. The best Smash Bros. game ever made was on GCN, a system that sold 21 million units in its entirety. It's almost as if the Wii U isn't dead at all, and it is actually improving its fortunes... What a radical notion! I've convinced three people to buy a Wii U, including a girl who bought it for her son for Christmas (he wanted it anyway, so it was easy). 500k is definitely a huge month for a doomed console competing with two new rivals. @gatorboi352 Melee was a launch title. Brawl made SSB even more popular and sold really well, there's tons of hype around the new one. And the top selling games were all multiplatform, individually Pokemon X and Y were 2 of the best selling titles. Yes and no, I think the idea of the system seller is sort of a myth. But what these numbers and upcoming games mean is there is climbing confidence in the Wii U as a investment and console. The Wii U had 5 of the top games in the top 10 best selling games of '13. People bought allot of those games on there old consoles mostly because Nintendo did not just have to convince people to buy a Wii U in '13 but be the hype machine for this new generation of consoles. I think any console in the Wii U's position at the end of '12 would have preformed weak. Fast forward to the Xbone vs Wii U vs PS4 hype and showdown of '13 as annoying as it is, has broke the ice. Now everybody knows, the 8th gen is here. And it's something I don't really think any one console could have accomplished with the gaming market so spread out over tablets, phones, handhelds, PCs, and 7th gen consoles. I'm looking forward to a full year of great Wii U retail and eShop games. Also as much as the clickbait nintendoom sayers are negative everybody now knows the Wii U is a new console by Nintendo and it needs support. The cliche any publicity is good publicity remains true even in 2014. Excuse me while I go play some punchout. Here's hoping the momentum keeps going. If Nintendo plays their cards right, 2014 could be the turn-around year for Wii U. Here's hoping. That's pretty good actually, I was expecting a lot worse. Whatever their marketing strategy is in the US they need to bring it to Europe. I don't ecpect thw WiiU to ever be a super seller like the Wii was. What I think will happen is that it will have small steady sales gains for a year or 2 and Nintendo will ride the 3DS out. I actually expect a new home console announcement in 2015. Can't wait to begin 2014 with DKC: TF! @Zodiak13 dont hold your breath. That would be the worst thing they could do. @Zodiak13 Maybe that's when a new handheld comes out, but they keep about 4-6 years of time on systems, so.... 2017? this would be good news, but the wii u was still outsold by everything short of vita & og wii. not looking good smh. But good news overall! Go Wii U! The Wii U most definitely can be turned around, but Nintendo needs to play their cards right. This is a very critical year. As of late, Nintendo has been taking steps in the right direction, but we need leaps and bounds, not baby steps. So what we think we know is that in December, Wii U sold a million units between Japan and US sales.....plus what ever else sold the rest of the world. Not too shabby I suppose for a DOOMED company. To keep the sales going we need a great game release every month and half or so......Hoping for a great 2014! 2015 is too soon...for Nintendo's next handheld OR console. @URAmk2 Don't be so concerned. The new consoles have only been on the market for two months. Of course they are going to outsell the Wii U, give it time. 500K units sold in the US last month sounds like a mouthful of fresh air we all needed. @gatorboi352 21 million units is quite a bit, and it could be argued that without Smash Bros., the GameCube may have sold considerably less than that. As far as I know, it's not quite the system seller as Mario Kart, but it nevertheless holds significant important for Nintendo and the WiiU in 2014. @Zodiak13 There is absolutely no way that Nintendo will announce a new home console in 2015. That will definitely not happen, so don't get your hopes up (or down). @Matts14 2D Donkey Kong release in February is a big deal for them too. This is pretty great news. If they keep up this rate all year, they'll pass the Dreamcast in sales by this time next year. I just bought my ps4 this month so by now lets get the next gen started with my dream team (wiiUps4), I can see a lot of fun this year! I obviously would love to see the Wii U selling like hotcakes, but I'm always happy when I see it performing admirably. I hope it keeps enough momentum into 2014 so that we can keep getting new game announcements throughout the year. It really should be a good year for Wii U imo. With the other consoles just starting up there really isn't much that can compete with them. I can't believe people are celebrating the Wii U figure! How is 500k positive? That's below the Cube's second December, and everyone considers that worst case scenario. It means the Cube has outsold the Wii U in every month so far. At this stage of it's life the Cube had sold 3 million consoles, the Dreamcast was on 2.25 million and the Wii U is on 2.1 million. Lets's celebrate though, right? Because selling more than you did before is good news. Who needs context? I want the Wii U to succeed, and I think it deserves to be doing at least okay, but these figures are in no way good. Does that sound like great news all round? @Peach64 would you rather it be worse then? We as Nintendo fans are so tired of hearing the Nintendo-doom stories, and as such it IS good news, believe it or not, that the sales of the Wii U are improving over time, even if at a slow pace. Yes, Nintendo's earlier home consoles did better overall up to this point, but even THAT may change with time in future sales info. @JuanitoShot I just find it strange that so many are celebrating when this is pretty disastrous news and is going to get widely reported far beyond gaming websites today. For what it's worth, I'm just down on sales. I think most people can be very satisfied with the console and it's library. If people don't care about sales, that's totally fine too, as poor sales certainly do not make the games less fun. Unfortunately though I've seen too many franchises I love or hardware I enjoy come to an end due to bad sales, so I can't help but pay attention to it. I don't think Nintendo will be the only one to worry about sales it seems to me the xbox/one is not doing so great now either , where I live they have stacks of them in every store I would like to know how well it's doing now after it's launch . The week of Christmas it was the only system in stock at local retailers the Wii U and PS4 where both sold out . I still have faith in the Wii U overall I got a PS4 for Christmas and honestly I like the Wii U alot more people get to hung up on that ' this ones got better graphics crap to much ' to me that dont make it a better system . I'm not surprised to see that Peach64, once again, is the only person who speaks common sense. ... God only knows why the rest of you think this is 'good news'. You'll be soon (daftly) saying Nintendo's financial report later today is good news too! @Peek-a-boo It is good news in a way, Nintendo need to have their back up against the wall and seriously consider their game output and current business practices. They are getting better but if the Wii U and 3DS had sold like hotcakes day 1 I seriously doubt we would have things like hyrule warriors, a new ip or even a shared account system in the works. I truly expect Nintendo to push out some amazing games, partnerships, features and acquisitions this generation (3Ds and Wii U) that we would not have seen if the Wii U was not the failure its been so far. @Peach64 It's in the same order of magnitude as the GameCube. That's positive compared to many earlier months. And it's better than last year, which is a positive pattern. I think it'll do fine enough for us to get good games for a pretty long while, which is all that matters, really. @gatorboi352 I feel the same. Mario Kart definitely is but I don't really know people outside of Nintendo fans that care about Smash. Most gamer kids these days are too young to know about Megaman! @Peach64 obviously the Wii U isn't doing well but there were points in 2012 where it looked like it might not make the year. They couldn't sell a fraction of that number with heavily discounted units for 11 months. It's not a time for cigars but at least the console still has a pulse. Maybe their forecasted loss means they are actually going to spend some money on marketing between now and the end of the year! I won't hold my breath. Edit - just read the link from @Zaphod_Beeblebrox and they are upping their marketing spend. How the WiiU could be selling very well?? I mean, it's just performing well enough, but with the current library nobody should expect much better results... They have only released ONE game in the whole year that could make the charts turn round: Super Mario 3D World (they have released more good games, of course, but nothing one would be willing to buy a new console for). If they had released this last end of the year other games like Mario Kart 8 and Donkey Kong, alongside the new Mario (as many people expected them to do), things would've been way too different, I believe. But they are waiting for the next year to release nearly everything they have (don't ask me why, but they must have their reasons), so as anyone can imagine, no games, no sales. Let's have some faith, and hope the next christmas will be much better for the WiiU (as well as it happened with the 3DS). 20 million units sold worldwide in its lifetime, or 120 million units sold worldwide in its lifetime, does it matter? As long as those X amount of millions of people who own a Wii U enjoy it, and everything it has to offer, not to mention perhaps some very fond memories of it years down the line, then what does it matter how many units are sold. As long as you, the consumer, are happy with your purchase, THAT is all that really matters!!! @Peach64 - Appreciate the time and effort on the numbers and putting things in perspective. I'm only reading this article AFTER all the doom and gloom articles this morning and it's hard to get too excited. For a "glass half full" viewpoint. The Wii U gets a terminal cancer diagnostic of 3 months to live. The new 2nd opinion numbers give it 6 months to live. Still gonna die, but you hope that in those extra 3 months somebody finds a cure for cancer and the Wii U gets to miraculously live. A Jan ND w/ dates for MK8, SSB, Bayonetta 2 and X would be helpful. We probably won't get any actual dates though, just vague Qs and seasons that don't mean anything. At least we don't have to hear about "launch windows" anymore. @Emblem 3DS is basically mothballed for the time being. (Same problems the Wii U had this time last year). Nice progress overall. Good luck Ninty. @Peek-a-boo And here I thought my sarcasm was obvious. If Nintendo reports at the end of the month, this is most likely their quiet period where they are bared by law to announce any news ahead of the earnings. At least in the US & they are listed. NTDOY. @Agent721 - there is no requirement by law for a quiet period. Only if you're doing an IPO or have a registration statement. Companies adopt quarterly quiet reports so investors don't bother them, but it is not required by law at all. @alottapeoplewhorepliedtome Guess I'm in the minority with what I'm thinking. Oh well, we'll see. Well here is a little more good news for the Wii U, or it is if I read everything correctly. It's set to have a far better Jan. this year to according to VG Chartz, the Wii U sold a total of 111K + units in the first week. According to what I have read last Jan. for the entire month they only sold 100K. So this year is already starting on a positive note.